A velouté is a french term meaning that the soup has been thickened, in this case using chicken stock, flour and butter, giving it a smooth and creamy texture. The word velouté comes from the word velour which means velvet. 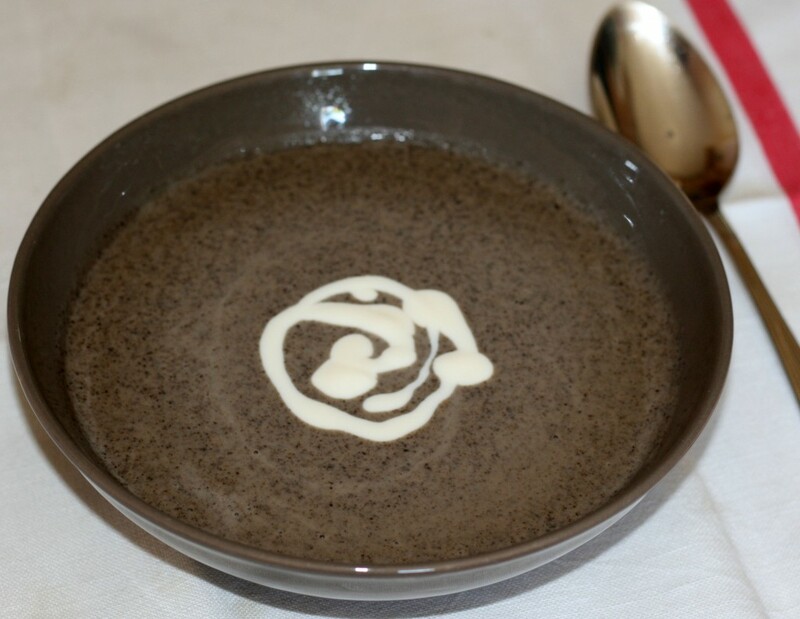 Mushrooms are in season at the moment so when I found I had too many left in the fridge I decided to make a mushroom velouté – a great way to use them up and a great starter or lunch!